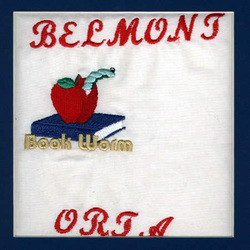 The Belmont County Chapter of ORTA continues to grow in membership. At present there are 256 listed members. About 65-80 members attend regularly at each of our meetings, which is four meeting per year. Some of our members live out of the state and some are unable to attend because of health issues or other reasons for non-attendance. All committees continue to do the work which they are responsible to do. Community Participation Committee has a canned goods and paper products collection for the food pantries of the county in April and November. Tools for Schools are collected at the September meeting. Sometimes, items are collected for the Tri-County Help Center at the June meeting. These are items given to the different school districts and the district is selected by random drawing at the end of each meeting. A Friendship Committee was formed in the chapter in order to keep in close touch with our members. Using the service of our Telephone Committee, this group sends out cards to the members that are sick or in the hospital. The members of the committee go to visit any member that cannot attend the meetings because of health reasons. They visit the different hospitals and nursing homes to keep in touch with our members on a regular basis. A Memorial Service is conducted by a committee of five at our June meeting each year. In 2000 the chapter received a donation of $2,000 from the estate of Elizabeth Dew. It was given with the express wish to offer a scholarship to a graduating high school student to further their education as a teacher in some field of study. Our chapter president, Betty Rippey, suggested that the immediate past-president, Barbara Heidelbach, take on the new task of spear-heading the campaign to raise funds for this project. A Scholarship Committee consisting of seventeen members was formed to draft an application form for the prospective applicants. Projects were discussed and we chose "A Mile of Pennies" project to begin our challenge to raise funds. After several years, we received a bequest of $15,000 from the estate of Ada Carleton. This helped us tremendously. CD's were purchased at several banks to continue our fund. Then we decided to start a raffle at each of our four meetings with items donated by our members. The scholarship became the Carleton-Dew Scholarship. Last June 2006, we were able to present a $500 scholarship to a graduating senior from the Bellaire High School. We will present a scholarship to another local student at the June meeting of this year.